SELECT presents the world’s first intelligent handball, Ultimate iBall, with a built-in chip that tracks and distributes data in real time. The handball premieres at the VELUX EHF FINAL4 2018. This is the first major event in European sports to use the new tracking technology capturing exact ball speed, shot detection, position of the shot and more bringing the fans closer to the game. 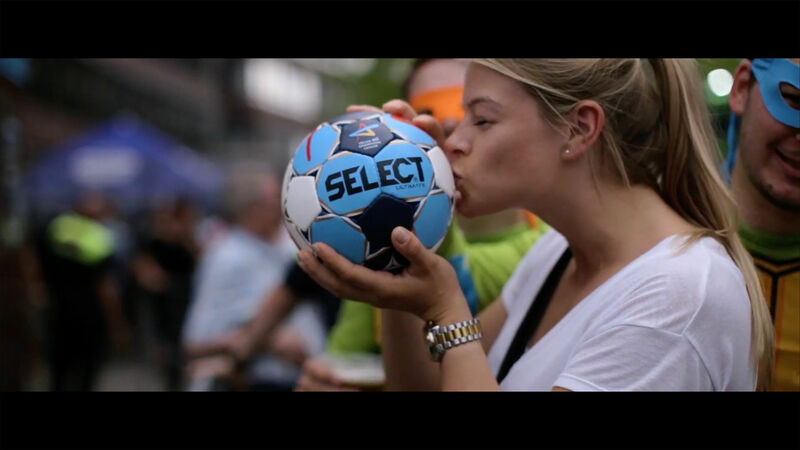 The SELECT Ultimate iBall and the associated new insights into the game will make the performance of players more tangible and result in a significant increase in fan engagement. Ultimate iBall is the world’s first ever intelligent handball. Spectators benefit from brand-new insights into the game via the built-in KINEXON chip that records data in real time regarding ball speed, shot detection, shot position and the position of the ball in the goal. This brings fans closer to the action than ever before. All captured data is provided to television stations and digital channels in real time. The award is given to the SELECT Ultimate iBall in the category Team & Social Sports. Spectators are able to observe the speed of the ball and the distance from goal for every shot in the game. The shot distribution on court from one team or a specific player will be displayed for broadcasting and digital channels. The position of every shot entering the goal will be displayed, illustrating scoring strategies. All information is detected automatically and in real-time with interfaces for both broadcast and digital channels. The bladder is made of high performance natural latex. The Zero-Wing concept ensures optimum roundness of both the ball and the bladder. SELECT solely uses latex bladders in our balls with build-in balance point at the opposite side of the valve hole. This, together with the Zero Wing concept, gives a perfectly balanced ball with a very lively bounce. The KINEXON chip is placed at the very heart of the ball, on the bladder, to keep it safe from shots and bumps, while in play. The chip will capture information such as ball speed, shot detection, position of the shot and placement of the ball on target. To stabilize the ball and to ensure that it remains round, its 32 panels are lined with several layers of textile material. The lining also helps to adjust the softness as well as the weight of the ball. The most important factor regarding the softness of the ball is a layer of neoprene foam placed between the lining and the synthetic leather. The foam maintains its softness and elasticity game after game. 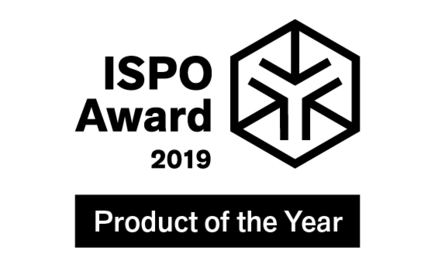 ULTIMATE is the only model produced using specially developed Shark Skin Foam. This makes it an even softer and thoroughly fantastic ball. ULTIMATE is stitched by hand. The 32 panels are sewn together using 630 double stitches and 60 corner stitches and are closed off (especially for SELECT) with a double knot. The ball lasts longer this way. 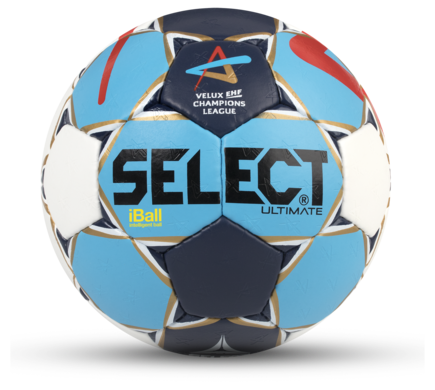 SELECT’s agreement with EHF includes that we provide the official match ball for all the top EHF competitions including the VELUX EHF Champions League, WOMEN’S EHF Champions League, Men’s and Women’s EHF Cup and last but not least the European Championships for both women and men. A new and dynamic ball design will be presented for the EHF Champions League on an annual basis, and the partnership offers the opportunity for innovative product development on the handball market in the coming years. The balls in The Pro Series are used for matches played at top professional level. The balls in The Club Series are suitable for club-level matches and training.